Make 4 payments of $16.24 over 8 weeks and get it now! These key advantages will ensure the flooring lasts much longer therefore providing outstanding value (& more comfort under foot!). It will also lie flat on the ground without the need to peg down the edges. 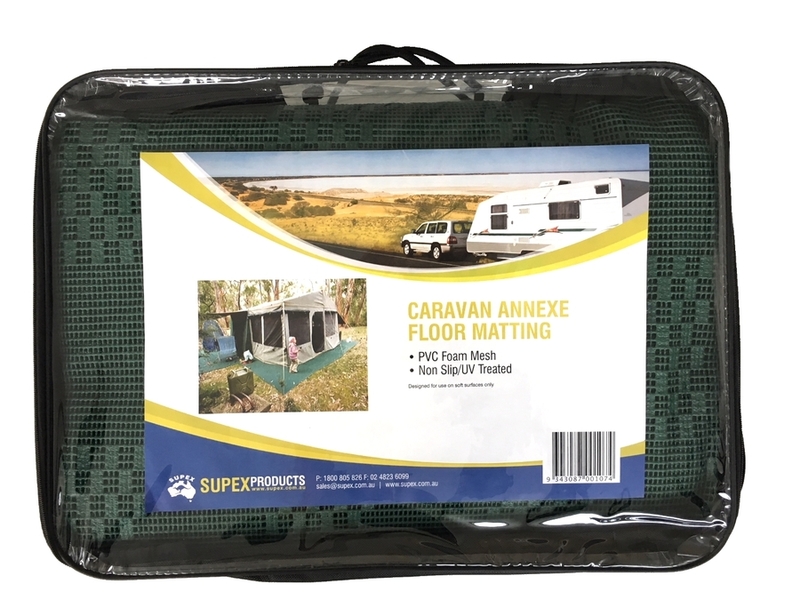 This PVC foam floor matting is very popular for use in caravan and camper trailer annexes.The matting lets sand, fine dirt and water to fall through while allowing the grass to breath. The PVC mat is rubber like and will not kill the grass, even when left down for extended periods. 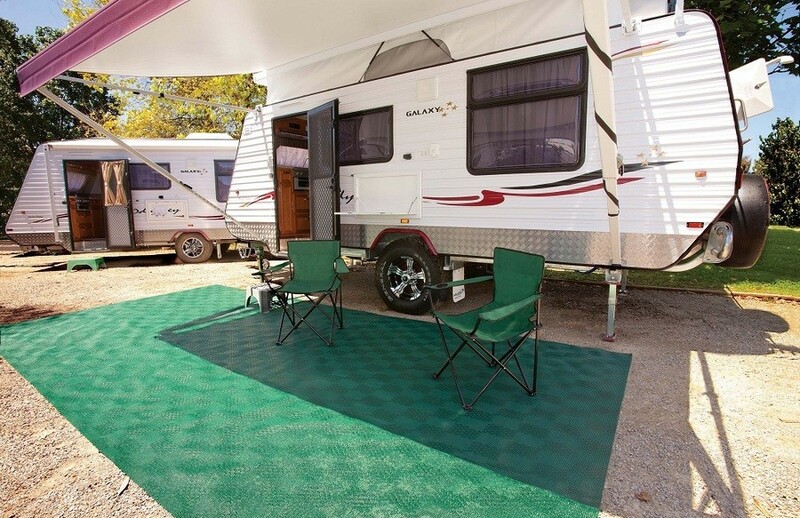 It's ideal for grassed RV sites where non-breathable floors are often not permitted at Caravan Parks. 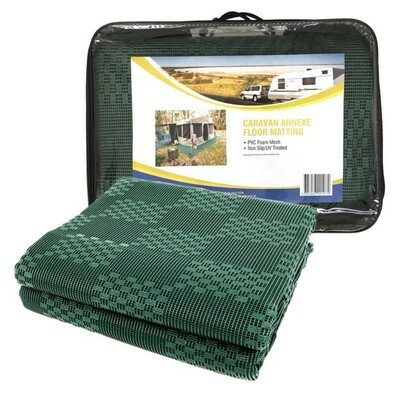 It can also be used as a ground sheet under tents, protecting tent floors and airbeds from puncture holes. The floor matting is soft under foot, very comfortable with bare feet while providing protection over sharp sticks and stones. It will lie flat without the need to peg down the edges. It feels softer underfoot in comparison to the others. 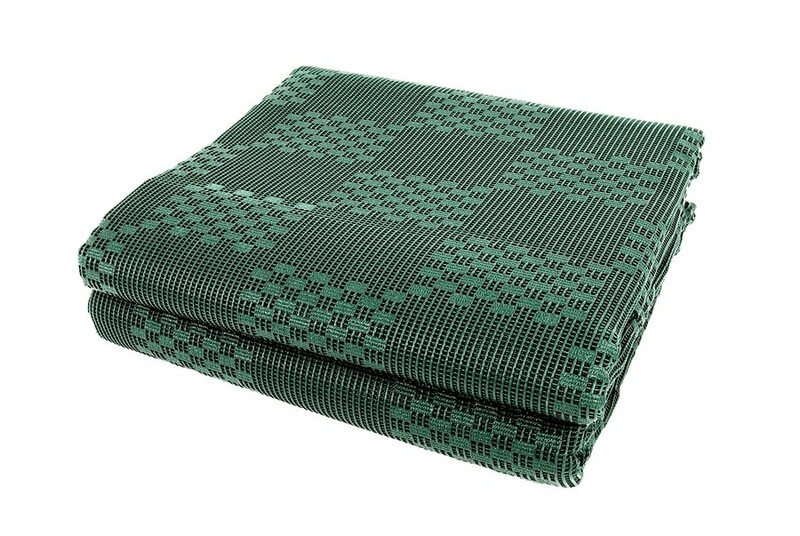 Note we also stock this product in Grey & Blue (See our other listings linked on this page). The product fitted the description in quality, weight and colour. It arrived promptly on the day it was promised and I have no complaints. I wouldn't hesitate to purchase from Campsmart in the future.